I wanted to use a USB audio input to record a video, and got something I've never seen before having done this 100 times; it asked "Authorize Quicktime to use the microphone?" I clicked no, because I didn't want it to use the internal mic, I wanted it to use a USB input. Now, it won't let me get rid of the denial. I've quit QT, quit & reopened it twice and it still won't let me choose ANY input source. It still says it doesn't have access to the microphone. Is this a new Mojave 10.14.2 bug or what? How the heck do I get out of this? Thanks! Go to System Preferences > Security & Privacy > Privacy > Microphone, unlock the preference pane by clicking the padlock symbol at the bottom left of the window and tick "QuickTime Player.app", which should be listed without a tick mark in its checkbox. This should clear all applications from the Microphone section and after launching QuickTime Player, it should ask for permission to the microphone all over again. 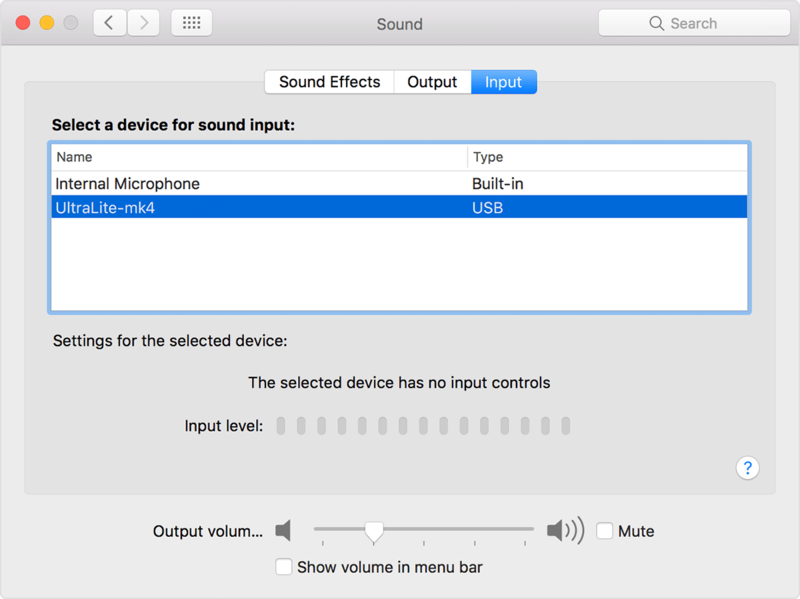 You can go to "System preferences" > "Sound"
Select the "Input" tab and select the USB input (Type USB). Not the answer you're looking for? Browse other questions tagged audio usb video quicktime microphone .